The aftermath of a flood can seem endless. Repairing your property, replacing your belongings, and dealing with insurance companies can seem like a fulltime job. One thing that people oftentimes forget about, though, is a long-term effect of a flood: mold. 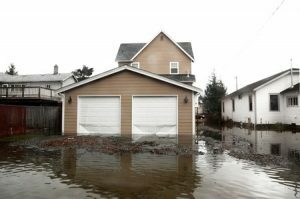 If your home or business property has experienced flooding, even with a relatively small amount of water, mold will likely grow in the affected areas. But don’t be alarmed; if your property has been flooded, you can take steps to prevent mold growth from occurring. You’ll need to act quickly. Mold can begin to grow as soon as a day or two after a flood, so even though you have a lot on your plate, make sure to get in touch with a professional mold remediation service to have your home or business properly inspected for mold growth following the flood. The technicians at Jun’s Mold Remediation are trained to detect mold that can be otherwise hard to find. We’ll then work quickly to eliminate the mold, and deal with the source of the mold, so that you can rest assured that your property is a safe environment to live and work in. First, we’ll remove anything that was not affected by water damage from the area that was flooded. This will keep your belongings safe from the effects of dangerous mold. Then, we’ll carefully remove the water from your property, making sure to prevent the water from spreading further. We’ll then use dehumidifiers and fans to get the area as dry as possible, and make sure everything is properly ventilated. Keep in mind that if areas in your property with electrical panels were flooded, or if the floodwater was contaminated, you’ll need experts to remove the floodwater and deal with the aftermath as well. If you’re unsure what to do immediately following a flood, give us a call at (908) 322-1533, or check out our complete list of services for more information.